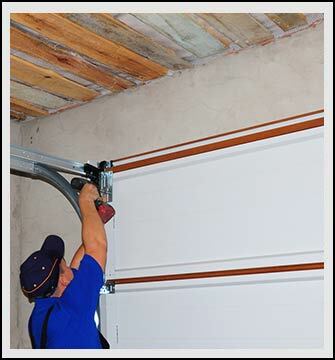 Any part that doesn’t work with your garage door has the potential to cause an emergency situation. The reason for this is that garage doors contains several mechanical components that work in coordination with each other to allow the door to lift and lower. It’s important to get in touch with Interstate Garage Doors right away when any part isn’t working like it should. It might seem minor to you, but you could actually be averting a disaster. Exceptional service is always our goal with every service encounter. We want to exceed your expectations, not merely meet them. Don’t be afraid to speak up if you feel we didn’t repair something to your satisfaction or overlooked something that could have used repair. While we don’t plan or expect this to happen, we want you to feel comfortable stating what you expect from our repair technicians. Unless you work in the garage door repair industry, you can’t realize how complex they really are. In generations gone by, a garage door usually consisted of a piece of wood that you raised and lowered by hand. 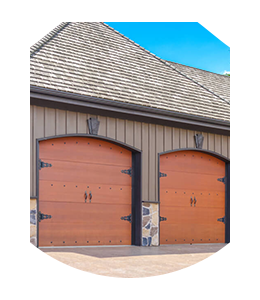 Today’s garage doors are much heavier and operate through the coordinated effort of many mechanical parts. These parts will wear out over time and require prompt replacement. This is something that we do frequently at routine maintenance service calls. Scheduling annual inspections with Interstate Garage Doors is the best way to make sure that the components that power your garage door are all in good working order. We will look at everything from tracks to springs to make sure that a part hasn’t become so badly worn that it could actually be dangerous. Of course, we always replace these parts immediately when we do find a problem. Your garage door could become damaged when a tree falls on it during a storm, someone purposely breaks the windows, or hit it with your car when pulling in or backing out. Not only is a damaged garage door unsightly, it can be highly unsafe as well. As soon as you have taken stock of the damage, call Interstate Garage Doors 24 hours a day to get it fixed. It will look as good as new in no time. 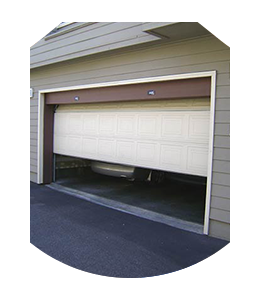 You have probably noticed the small wheels attached to the sides of your garage door that move along a track when you open and close it. Occasionally, the wheels come off the track and cause the door to malfunction. Common scenarios that cause this include having something on the track blocking the motion of the wheels and the wheels becoming too worn to operate properly after many years. When you see that your garage door is off-track or need a garage door repair service in Chicago, IL, call Interstate Garage Doors right away for assistance. Many people are under the mistaken impression that it’s easy to return a garage door to its tracks. This is what causes serious injuries and property damage. It’s essential to get the wheels to line up just right before attempting to test that the track is functional again. This is something that the technicians at Interstate Garage Doors work with all the time. We urge you to leave the repairs to them and not risk your own safety. A typical garage door weighs at least 150 pounds. That means that the tension strength of its springs must be able to withstand the same amount of weight. People not experienced with garage door repair or set-up can make serious mistakes by misjudging the amount of weight and tension the springs can handle. We don’t want to see that happen to you, so let us figure this out for you.